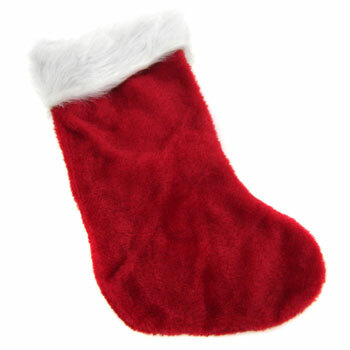 Rich, soft plush Christmas stocking ready to accept simple all types of great Christmas presents. 18”h x 16”. Poly-bagged and sold individually. $1.45 each for 108 or more.